· 1. Reviewing or determination of non-conformities. · 2. Determination of the root cause of the non-conformity. · 3. Tacking immediate action to eliminate or mitigate the consequences. · 6. Monitoring and evaluation of corrective action. The purpose of this procedure is to define customer survey applications used for providing data to determine customer expectations, to measure and monitor customer satisfaction; in order to meet and improve customer satisfaction. 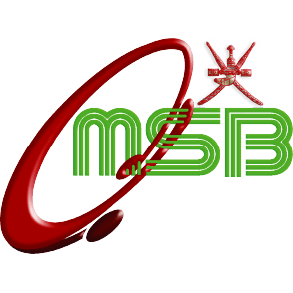 The mandate of OMSB is to educate the next generation of leaders in mdeicine in tghe Sultanate of Oman and to provide excellence in medical care with copassion, creativity and flexibility. Therefore, Studies & Research Section was established to build capacity, provide support and promote clinical & medical education research for residents, faculty and OMSB staff within the post-graduate training program in the country. Excellence in research training for resident doctors as a part of their training towards graduating highly-qualified specialists and consultants. Providing academic training and adminstrative support related to research conduction to all residents. 1. Research Training Workshops: Part of the residents development plans, two research methodology workshops) basic & advanced) are conducted every year for all residents. Local research experts deliever these workshops in interactive sessions. The attendance of these workshops are pre-requisite for resident graduation. 2. OMSB Annual Research Day: Beside each program research day, every year OMSB has a research day where all the 18 training programs compete for best research papers. Am resident from each program will have an oral presentation on his research paper and the best research papers will be awrded. In addition, two residents from each program will have poster presentations and best 3 poster presentations will be also awarded. 3. Research Block Posting Sessions: Block Posting Sessions of three to four weeks are regularly conducted by the section of Studies & Research. These blocks are dedicated to smaller group of residents (5-10) in each block who receive a group coaching on research proposal writing & data analysis. Each resident has on average from 2 to 3 blocks during their entire training program. 4. Research Office Consulations: The Research section also offers one-to-one consulations through appointments to all residents who need help at any stage of their research project. 5. OMSB Research Review Committee: In 2014, OMSB established a research committee to help support research grant application by OMSB residents. Proposals that are submitted for funding to The Research Council (TRC) are reviewed and approved by the committee. the Graduate Research Support Program (GRSP), a TRC funding program, has now approved 5 research projects and Research Section keeps encouraging the residents to submit their proposals for funding when having solid and significant projects. 1-From where can the resident get the ethical approval? Residents get the ethical approval of their projects from the site they are planning to conduct their research at. 2-Who can help the resident to publish his paper? 3- Which proposal form shall the resident use? 4- Who can help the residents to use the statistical SOFTWARE, like SPSS, EpiData etc.? The statistcians from Research Section and Information & Statistics Section. 5-Who shall be in Stage I and Stage II in Research Block Posting Sessions? 6- What is Reference Manager Workshop? 7-If a resident misses 75% of Research Block Sessions, what shall he do? He shall compensate the missed sessions in the coming blocks.